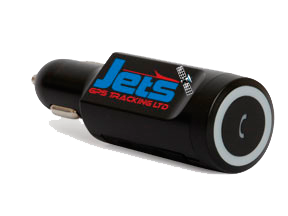 Jets GPS’ “Plug n Go” tracker is designed for vehicles where a hard wired tracker is not suitable, yet vehicle tracking and the mileage reports this provide can save companies time and money. Unlike other plug in trackers which utilise the vehicle diagnostic port, the Plug ‘n’ Go plugs straight into the cigarette lighter charger which means no panels need to be removed. This simple to use solution will not cause any damage to someone’s private vehicle and the company can just pay for the mileage where the tracker is in place and journeys can be validated. Access to the data is via Jets GPS’ web based tracking portal which comes as standard with live and historical tracking, geofences, reports and e-mail report scheduling for mileage claims. “Plug n Go” allows all business journeys to be tracked and recorded whilst protecting staff privacy by simply removing the tracker. To receive a Quotation specific to your requirements, simply complete the form opposite and one of our Team will respond shortly.